Ok, well.. it’s having life breathed into it this morning and the patching process should take till lunchtime. I have a massive work schedule this week, so I’m not sure how much I’ll see of the patch and the Bitter Rivals event before the weekend, but I’ll be keeping an eye on other blogs out there and hope to bring you a round-up of links that I’ve enjoyed about the new patch and the new event. Incorporates some of yesterday’s updates, because I’m doing lots of overtime this week and behind with my reading. So fasten your seatbelts, and join me as I read through my feed reader, with no idea what I’ll stumble upon. Are Choppas and Slayers too cool for school? I think they might be, but at this point, what the hell! Forums, official and unofficial are a timesink. Discuss! Actually, go see what the unofficial forums think about official forums – but remember, they’re not going to say anything impolite, are they? I mean, would you when you still want the devs to visit, etc? Romantic costumes on your Xbox 360 avatars is NOT a good way to celebrate Valentines, guys & gals. But the comments almost made me fall out my chair grinning! First Pics of the Slayer!!! There’s a dev chat scheduled on Tentonhammer later today at 7pm EST, at which it’s very likely that the developers will be chatting to all comers about today’s announcements. 7pm EST is midnight round where we live, so on the off-chance that we don’t hear anything before then, here’s some of our guesses at what Mythic may plan to announce. A St Valentine’s Day massacre-style holiday. Revamps for some of the missing cities (if anyone was around for beta you may remember that the original idea was to have a full city for each race, rather than fortresses). New hats for High Elves! Pets. First ones available will be a groupie for dark elves and a walking beer keg for dwarves. Feel free to add your suggestions, we’ll add them to the end of the list. Looks like that’s the date for whatever big announcement Mark Jacobs promised over at the Vault boards (he said end of January, which works for me). Keen and Graev have been sent orange hair dye and hair clippers, and the world is expecting some cool pictures of Slayer-style hair cuts. 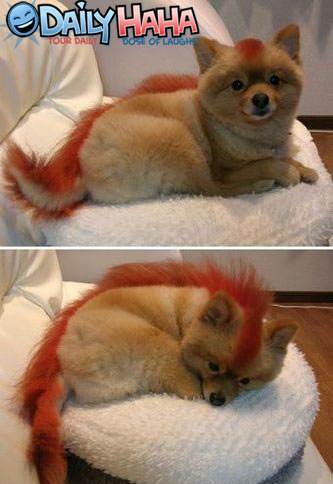 If you are planning a mohawk, I’ll let you in on a secret – it was my favourite hairstyle ever, and I had one hrrm…. around 3 years ago now. I’m tempted! The community have been guessing at a Slayer since the Hammerer was delayed really, so this would count as one of the least surprising surprises – but one of the most welcome (unless you wanted to be part of a very under-played MDPS class, in which case you might be a little reticent about Slayers going in). For me personally it’s good news, because it means the MDPS classes will be announced soon and hopefully in-game sooner, and I have a friend who will be coming back to the game to play one – as his main interest in the game was originally the Hammerer. In European news, we had some maintenance which fixed something I hadn’t even noticed on my Knight. Sometimes, I think I’m a bit rubbish at noticing details, but in my defence she just hit rank 10.. so there wasn’t much to re-train!